Upgrading your signal caps can make a big difference to your tone. 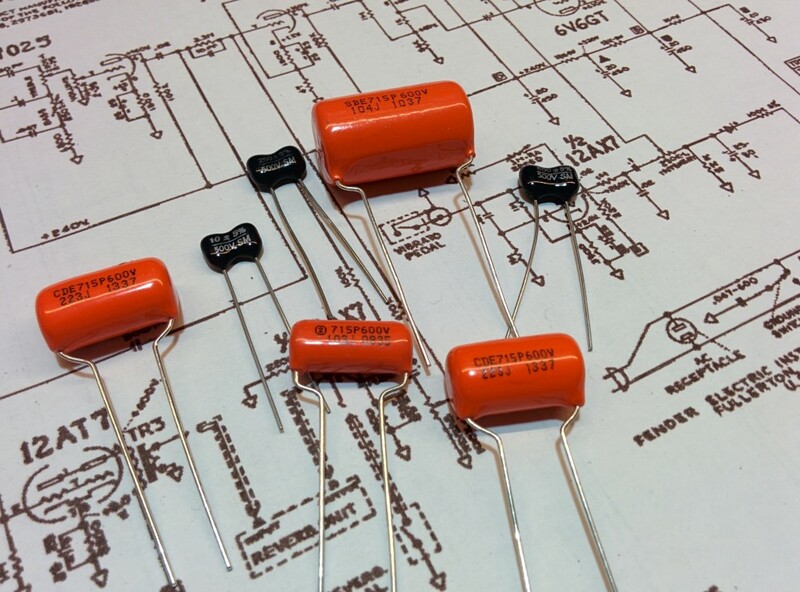 Depending on what kind of sound you are looking for we can advise on what type of capacitor would suit your preference. Popular choices include the Mallory M150, Sozo BlueMolded, Jupiter Red Astron or Yellow Vintage, Orange Drop 715P. 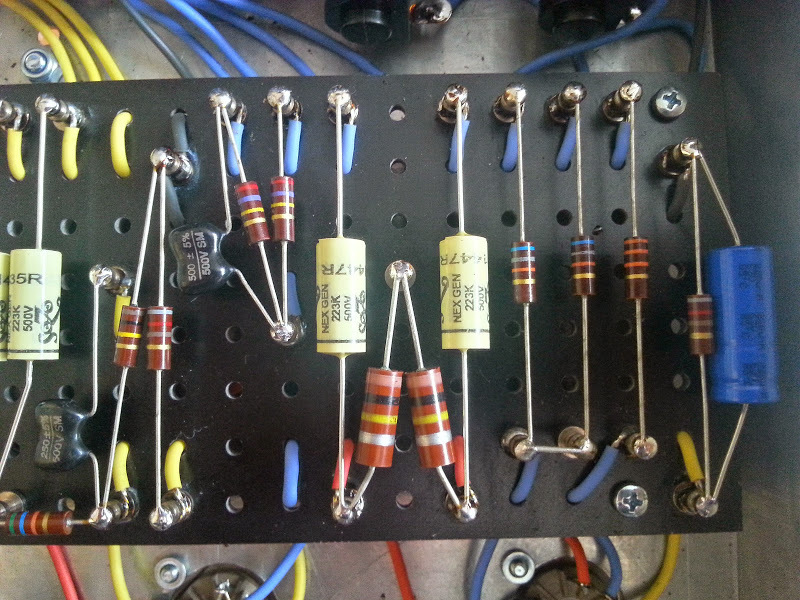 New or vintage amp, changing decouple/tone caps can enhance your tone and help get that sound that you are looking for. Please note that sometimes we will advise you based on which caps are already in your amp. For example, if you bring us an early Fender with original Blue Molded caps inside, we will usually just measure them and only replace any that are faulty. We'll also be able to advise you on whether it would be beneficial to upgrade your ceramic disc caps to Silvered Mica. The latter will give you a more modern/clean tone. For Marshall style amplifiers, we would generally recommend upgrading the signal caps to polyester and silvered mica (with strategically placed ceramic discs) in order to try and replicate the original tones. Popular alternatives to the original Mullard Mustard caps include Mallory M150, Sozo Mustard and Vishay MKP1813 for larger caps, as well as Silvered Mica for the smaller values. We even have a selected stock of NOS RadioSpares Silvered Mica caps per the original plexis should you wish.